It is very important to give some thought to what your insurance needs are for your property. If you are letting your property (even to friends) public liability is essential. The comprehensive policies offered should automatically include earthquake cover but may impose vacancy conditions e.g. need to maintain a minimum temperature or drain water tanks whilst unoccupied. Please check carefully that your insurance does cover all the elements that you feel are important to you. Unfortunately Bamro cannot check each individual policy and only offer the links below as an easy route to you obtaining quotes from one of the most reliable companies for overseas properties. 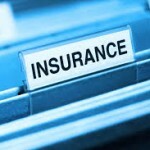 We are happy to recommend Intasure as a reliable insurance company. Please remember that the Razlog valley is affected by earthquakes and this should be covered when discussing the options. Click on the link to receive a no obligation quote.